Pastry flour, often called cookie flour, is high-starch, low-protein flour used in cookies, scones, shortbread and pastries. It is soft flour that is lower in gluten than all-purpose or bread flour. 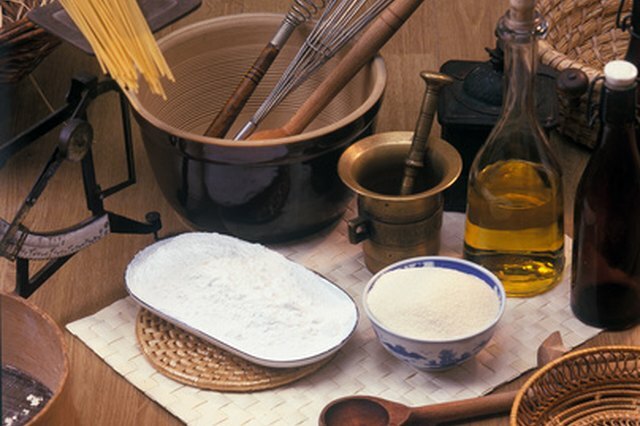 Items baked using substitutes for pastry flour may be slightly tougher due to the higher gluten content of the flour alternative. Finding pastry flour can be a challenge, but if you can't find it, don't worry. Alternatives involve little more than what you already have in your pantry. Combine 1-1/3 cup all-purpose flour with 2/3 cup cake flour as a replacement. If cake flour is unavailable, substitute 1 cup minus 1 tbsp. all-purpose flour for each cup of pastry flour in the recipe. Use 1-3/4 cup all-purpose flour and 1/4 cup cornstarch as a simple alternative for 2 cups of pastry flour. Cornstarch is gluten-free, therefore, using it as a replacement will help keep the gluten level and tenderness of the baked good close to that of one made using pastry flour. If the recipe calls for 1 cup of whole-wheat pastry flour, try substituting 1 cup whole-wheat flour and 1 tsp. powdered milk. This will add a bit of protein, which is one of the differences between pastry and regular flour. 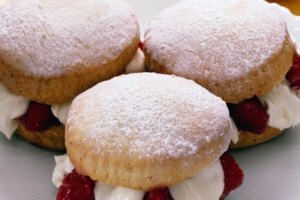 Baking Bites: What is Pastry flour?